Step2 Play & Shade Pool Just $38.42! Down From $60! PLUS FREE Shipping! You are here: Home / Great Deals / Amazon Deals / Step2 Play & Shade Pool Just $38.42! Down From $60! PLUS FREE Shipping! Calling all Prime Members! Fun for all at this toddler pool party! 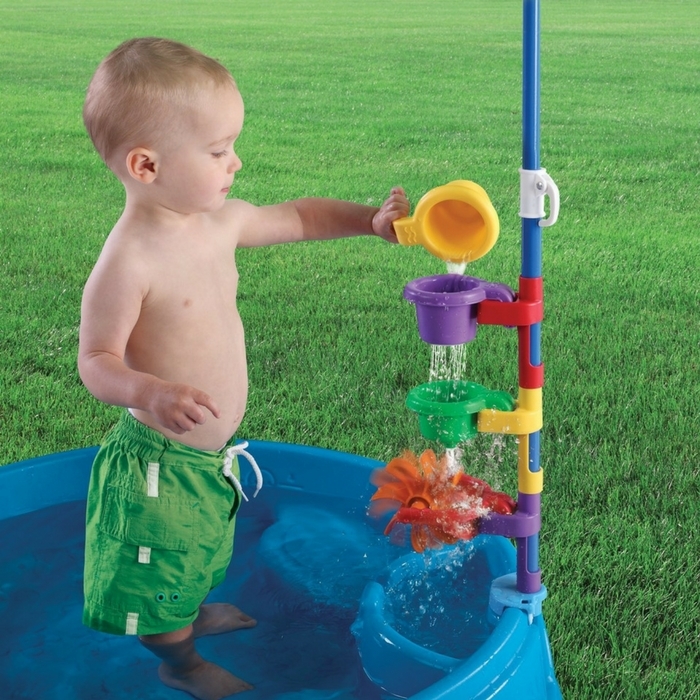 Includes two molded-in seats, umbrella and funnel cups and spinning wheel for endless sand fun! Your kids would surely enjoy their time playing and swimming! Go to Amazon where Step2 Play & Shade Pool is now on sale for just $38.42 down from $59.99 PLUS FREE shipping!